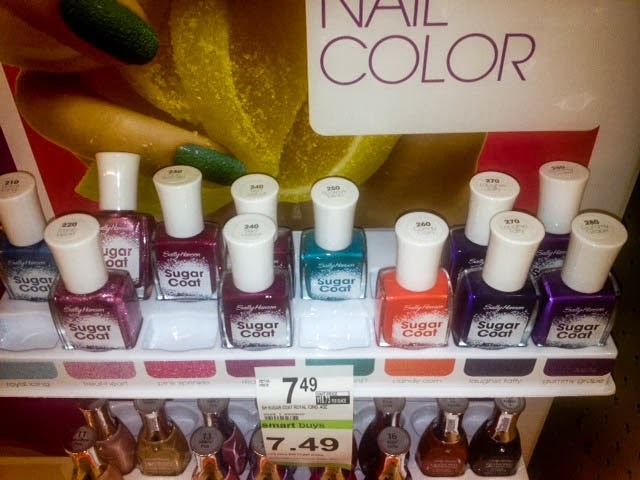 While browsing through Walgreen yesterday looking for absolutely nothing in particular, I stumbled upon the Fall Sally Hansen Sugar Coat collection. I picked up two colors but today I am featuring Red Velvet because it is very cute and actually looks like crushed red velvet. The pic below features nearly three coats of this polish. This color has a metallic undertone which I appreciate...very cute Sally! Although the textured aspect of this particular bottle of polish seems to have become more subdued with this new collection, I don't mind since I still get a bit of texture and a pretty color. As you can see I paid $7.49 per bottle, I should have waited to get it at Target but I was anxious.....ahhh the life of a product junkie. 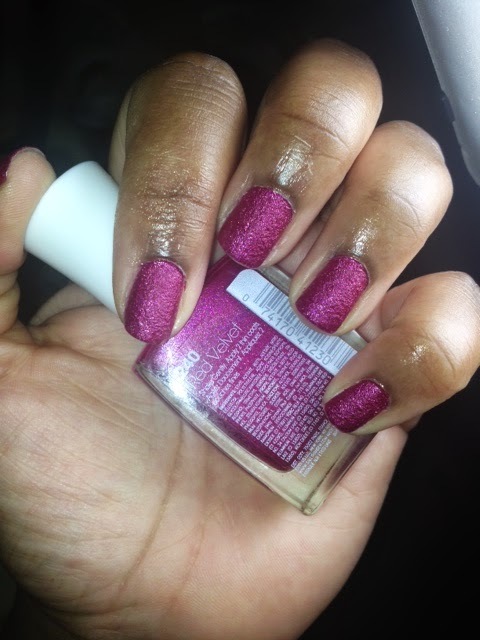 And here is the second pic which lets you see more of the color in the bottle, along with the name of the shade. I may end up getting a few more shades from the fall collection. What colors are you rocking now? Here is the link to my past textured polish post. The actual review of this product will be up soon.